Happy New Year everyone! I hope everyone is recovering from their holidays and finally get some downtime. I spent my Christmas holiday back North in Sudbury, where recently it has hit -35 (with windshield -50!). Fortunately for me, the cold and snow was manageable while I was there or else I would be hibernating. For New Years, I hosted a party for about 35 guest. It was a lot of fun and a lot to clean up afterwards! All in all, an amazing beginning of a new year. 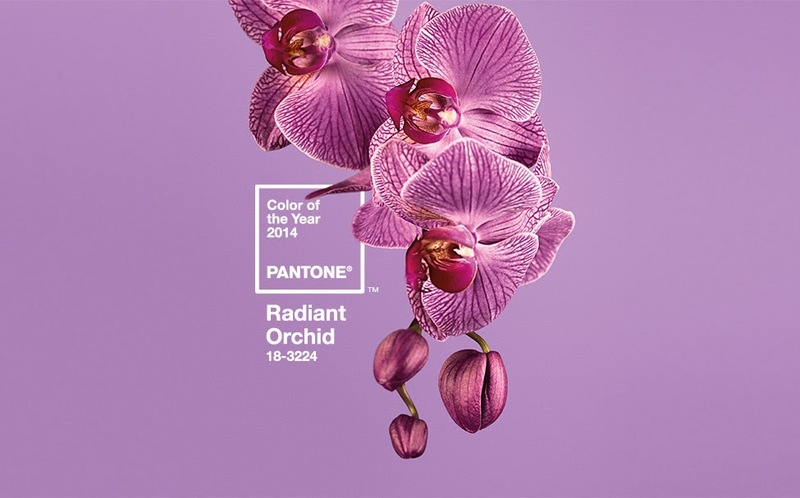 If you haven't heard, Radiant Orchid is Pantone's 2014 Colour of the Year. So be prepared to see a lot of bright fuchsia colours in this coming year. I'm not complaining though, any shades of purple is my favourite. But this colour is especially fun since it's so bright! Ever since they announced the colour, I've been wanting to create a nail art inspired by this brilliant hue. So here it is. My friend, Marissa, came over last night for a little girls night that consist of a facial, getting her nails done, and OC. I remember Trey Atwood (Ryan's brother) being super old when I first watched it at 14-15, but in the episode we watched, he was turning 20! I can't believe the first season was 10 years ago. Lately, I've been going through a quarter life crisis since I'm turning 25 pretty soon. But, I guess I'm just being dramatic. This nail art is really easy and quick to do. 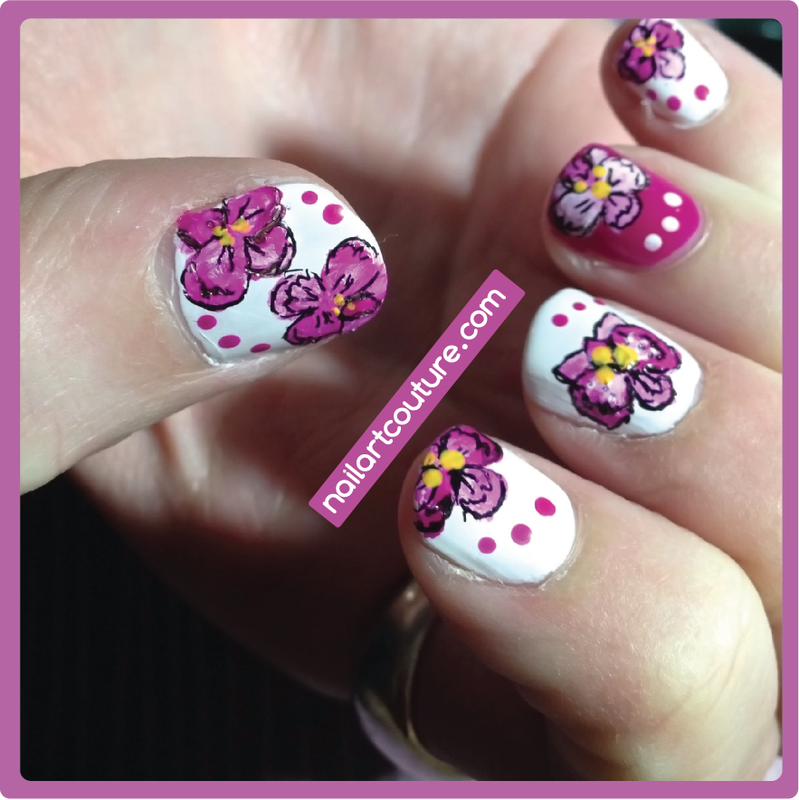 Basically I followed the guideline below on how to create the orchid petals. I mixed the white and fuchsia polish at various ratios to create different shades. 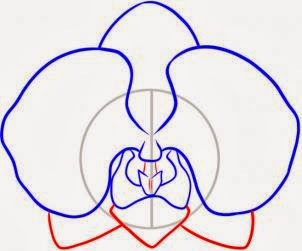 Once it dried, I outlined it and drew in other details to make the flower to give it more dimensions. 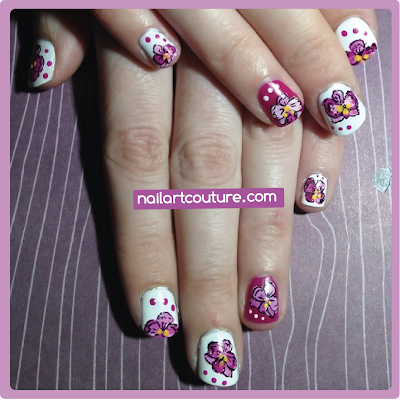 Anyways, I hope you enjoy my first nail art of the year!